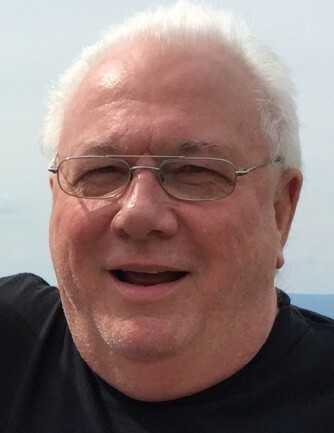 William J. Torpey III, 73 years old of Salem, NH passed away on Sunday, February 3, 2019 surrounded by his family from a long battle with pancreatic cancer. Born on August 12th, 1945 in Boston, MA to both the late William J. Torpey II and Dorothy Crafts. He grew up in Boston, Holbrook, as well as Billerica MA with his 11 siblings. Bill attended Billerica High School where he graduated and later attended Newbury College for two years. Then, when married at St. Teresa’s Church in Billerica MA to Linda A. Pike, they lived in Lowell MA for over 25 years to raise their family of three children. Then moved to Slidell, LA for 10 years with his wife Linda and daughter Kimberly. He retired in LA a few years before coming back to New England. He and his wife moved in with their daughter Jennifer for 3 years in Salem, NH to help out around the house and take care of the dogs so Jennifer could study while going to nursing school. Lastly, Bill and Linda moved a few miles away from Jennifer in a retirement community in Salem, NH where they have been residing for the past 3 years. Bill loved to travel, cook, tell jokes, have fun and make people laugh. He was always reading books and searching the internet to learn about various things (he never stopped learning), and most importantly he loved to spend time with all of his family and relatives. He always put other people first! His hobby over the past several years was working on his Family Tree. Bill worked for Purity Supreme for 30 years, served in the U.S. Navy, worked in construction for a few years for his late brother Ricky, and worked as a realtor for a short time before retiring as a hotel maintenance engineer in New Orleans. In retirement, he enjoyed working at his friend’s gun shop in Chelmsford, MA, and also attended and sold guns at gun shows on the weekends. He is survived by his wife Linda Pike Torpey, son William J. Torpey IV and his wife Cindi of CT, daughters Jennifer M. Torpey and her partner Douglas of NH, and Kimberly A. Torpey and her partner Scott of LA, and two grandsons Brandon Torpey of CT and Corey Ortiz of NH. He is also survived by his nine siblings and their spouses/partners: brothers Robert Torpey and wife Maureen, Kevin Torpey and partner Kathryn, Michael Torpey and wife Denise, David Torpey and wife Susan, and sisters Bev and husband Ted, Karen and husband Ralph, Maureen and husband Frank, Betty and husband Danny, and Winnie and husband Richard, as well as many nieces, nephews, and cousins. Bill was predeceased by his mother Dorothy a little of a year ago, and father William II, brother Ricky, and sister Snookie many years ago. Bill will be greatly missed by everyone! Calling hours will be held on Thursday, February 7th, 2019 from 4:00 to 7:00 PM at the Goundrey & Dewhirst Funeral Home, 42 Main Street, Salem, NH 03079. A funeral mass will be celebrated on Friday, February 8th at 10:30 AM in St. Josephs Church in Salem, with burial and military honors to follow at Pine Grove Cemetery in Salem, NH.